Enjoy a trip around one of Ireland’s most famous locations with a car rental Cork Airport deal. We offer the cheapest Cork car hire deals online. Cork City is located in the south of the country and is the second largest city next to Dublin. We provide rentacar deals for pickup at the airport as well as in the city. It is the largest county in Ireland and is full to the brim with fascinating sights to see. Situated on the River Lee, the city represents one of the major commercial and trading hubs of the region. It is a renowned tourist spot that has an array of restaurants, lively pubs, shopping outlets and entertaining nightlife to enjoy. It is an ideal choice to visit with family and friends. The airport is located just over six kilometres from the city. The best variety of Cork Rental Cars can be found here with over 2 million people using the airport yearly. Book a low cost Irish car hire deal and save. We also provide car hire Dublin Airport options. Check out our Derry Airport car hire prices if you plan on arriving in the north of Ireland. Our car rental Shannon Airport deals also provide great value for money. Blackrock Castle is a restored site located around 2km from the city centre. It is a circular shaped tower with crenellated parapets fixed on large corbels. The castle is now being used as a facility for scientific research and communication. A group of astronomical researchers from Cork Institute of Technology are currently involved in the development of various astronomy projects there. The tower allows both adults and children to interact within the field of science in a fun manner. It has a area that comprises of a playroom with large screen exhibits featuring interactive educational programs. In addition, there is a cosmos exploring unit equipped with a simulator that enables guests to send messages to chosen stars. Another highlight is an optical telescope which uses extraterrestrial intelligence techniques to detect short light flashes every second. Another great spot is the Butter Museum based in the Shandon area. The museum provides information on dairying in primeval Ireland and also the development of the reputable butter exchange that originally traded about 10 million pounds of butter every year. Besides this, the museum also helps to explain the techniques of margarine making in a traditional manner. It has a video presentation on the growth of the world known butter ‘Kerrygold’. Other collections include milk churns, a keg that holds 1000 year old butter and an exhibit of appealing butter bricks. The Opera House is a premium theatre for world-class entertainment and has been situated in the heart of Cork city for over 150 years. The elegantly designed 1000-seat venue provides only the best Irish performances in dance, drama, family fare, opera, and musicals. The stage area, lighting and other production aspects of the facility are exceptional using innovative technology. Garnish Island is another striking place you must see. It is well-known for its exquisite Italian gardens and has a wide variety of rare tropical plants. The different structures established on the island include an Italian temple, Martello Tower, and a Grecian temple. In addition, the island offers a panoramic view of the Beara, Glengariff and Sheep Head peninsulas. 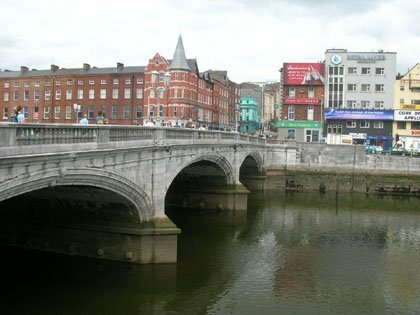 Some other exciting locations to visit in Cork city include the English Market, St.Finbars Cathedral, Fitzgerald Park and the Greyhound Stadium.